An injured person being treated in hospital. Eleven persons were injured in an accident that took place at the end of New Year Festival for the visually handicapped in Chilaw yesterday evening. According to Police sources, a bus that was transporting participants to their homes crashed into the parapet wall of a hotel injuring a number of people waiting for the bus. Chilaw Police sponsored this New Year festival dedicated to the visually handicapped in the area. 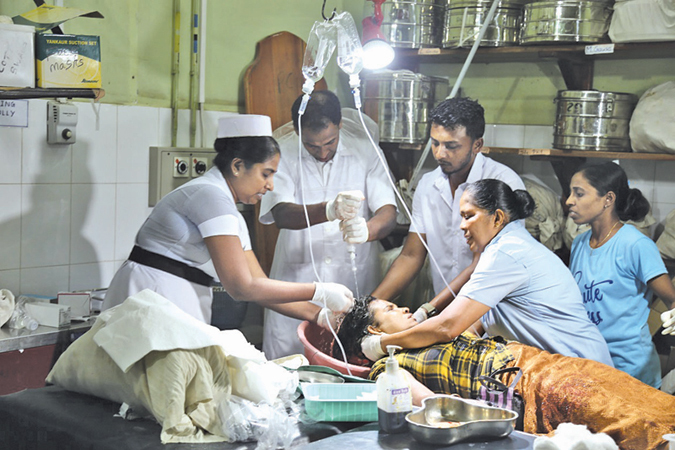 The injured are being treated at the Chilaw General Hospital.